50's Record Earrings,Mix a little fun in with your 50s costume by adding these record earrings to your get-up. The fantastic accessory features two comfortable clip-on earrings with attached record disk. There will be no doubt who's the hippest at the sock hop with these record earrings. 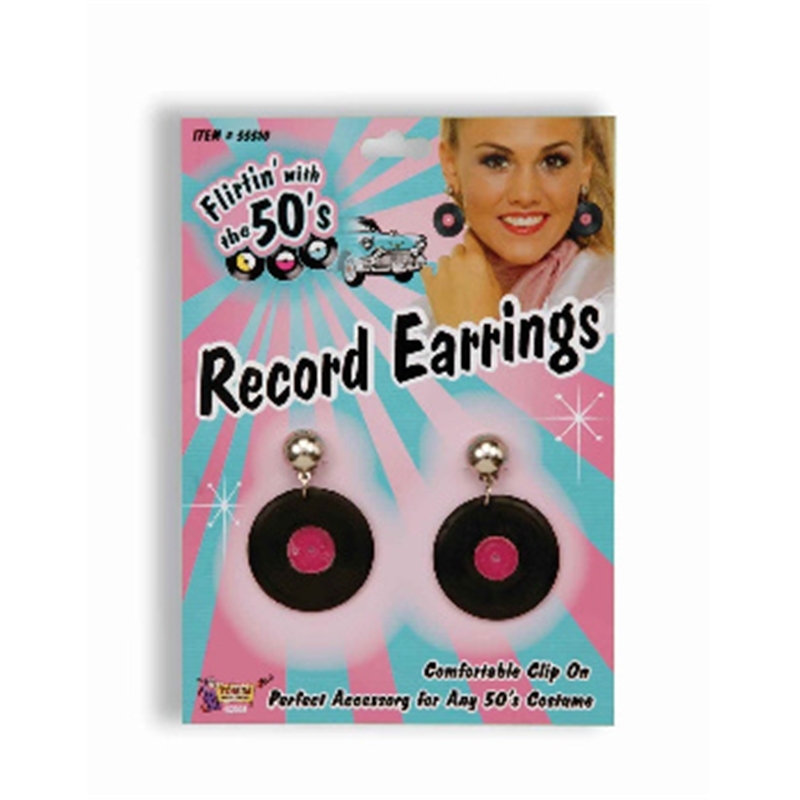 Mix a little fun in with your 50s costume by adding these record earrings to your get-up. The fantastic accessory features two comfortable clip-on earrings with attached record disk. There will be no doubt who's the hippest at the sock hop with these record earrings.